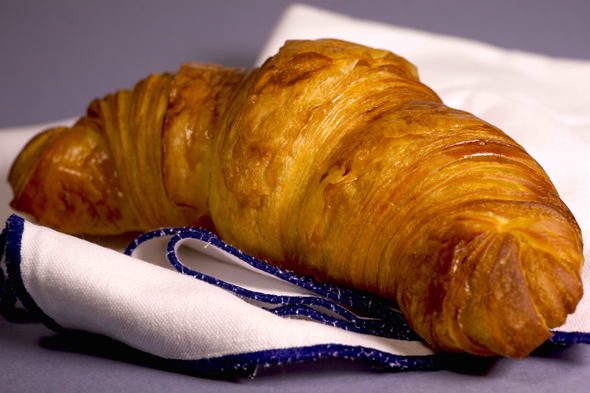 Dress up, dress down, anything goes at The Lighthouse — especially the croissants, so be quick to get your order in. The Lighthouse is about two things: design and food. The pretty new concept store in Dubai Design District screams Scandi-cool, from the carefully curated selection of homewares in the store to the cool blue and white interiors of the little restaurant nook. It’s smart and elegant, but with a casual vibe that welcomes flip-flops, wine-drinking and croissant-scoffing. Breakfast options include baked goat cheese pie (Dhs30) with oregano, sumac and honey, and several different egg dishes including Benedict (Dhs45), Florentine (Dhs40) and Royale with smoked salmon (Dhs45). It’s a simple menu, that doesn’t particularly stand out, so why is there a queue out the door at 11am on a Friday? Because the gentleman running the show in the kitchen is Chef Izu Ani, former head chef at French favourite Le Serre, and What’s On’s 2015 best chef. Izu is the undisputed king of the Benedict, and his French fans have followed him all the way to the D3 just to get their fill. And they’re not wrong, either. The food, for a little licensed enclave in a concept store, is fantastic. 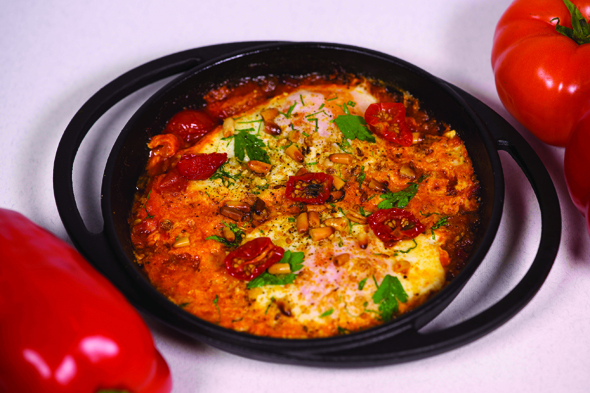 In fact, if you do one thing, order his shakshouka (Dhs40). A dinky pot of spicy tomato cradles two near-perfect cooked eggs, with sprinklings of charred veal bacon, herbs, and pine nuts. Crunchy and soft textures work harmoniously together, and the smoky flavour elevates this dish to superstar status. We only wish you could order it in a bigger pot. Sit at the counter next to the hand picked collection of tabletop accessories on sale, eat alfresco and share some dishes, or grab a more formal table, take your pick. Dress up, dress down, anything goes at The Lighthouse, especially the croissants, so be quick to get your order in. We’ll be back next month to try their lunch.